Explanation: Will our Sun look like this one day? 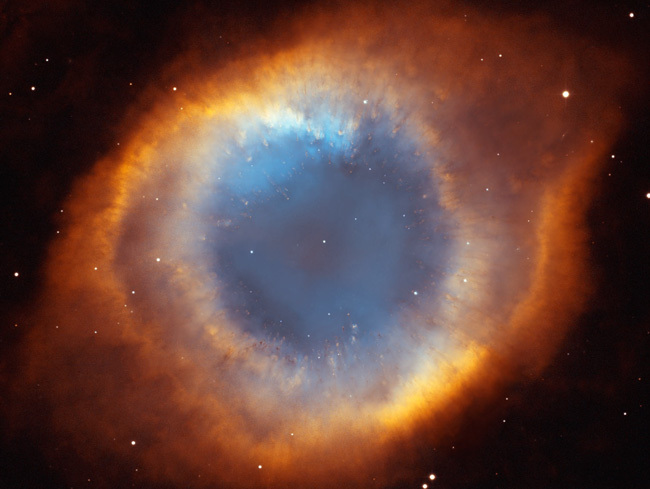 The Helix Nebula is the closest example of a planetary nebula created at the end of the life of a Sun-like star. The outer gasses of the star expelled into space appear from our vantage point as if we are looking down a helix. The remnant central stellar core, destined to become a white dwarf star, glows in light so energetic it causes the previously expelled gas to fluoresce. 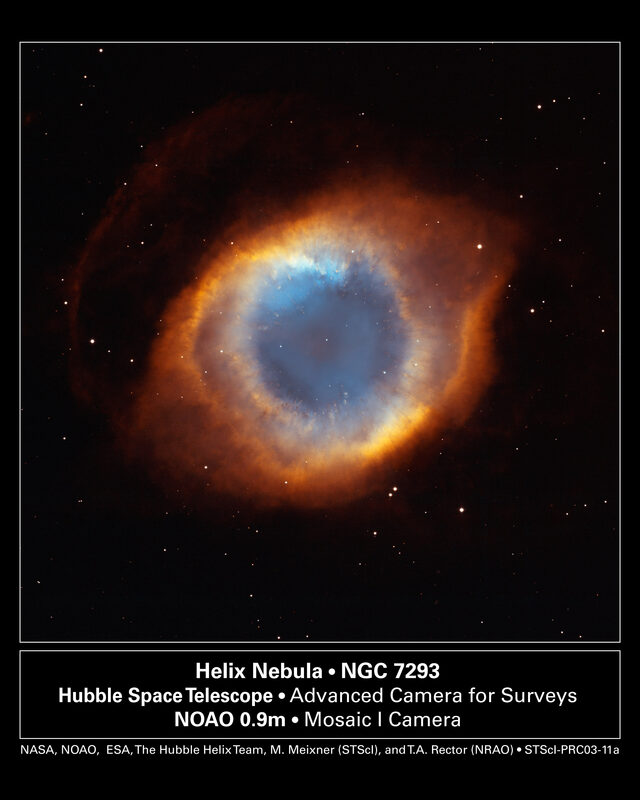 The Helix Nebula, given a technical designation of NGC 7293, lies about 650 light-years away towards the constellation of Aquarius and spans about 2.5 light-years. The above picture is a composite of newly released images from the ACS instrument on the Hubble Space Telescope and wide-angle images from the Mosaic Camera on the WIYN 0.9-m Telescope at Kitt Peak National Observatory. A close-up of the inner edge of the Helix Nebula shows complex gas knots of unknown origin. News: Today is Astronomy Day!